2008 Winsdown Cadena- (Gold Mare by Winsdown Westinghouse)- 2008 Salina Charity Kansas Futurity Amateur Weanling Champion. 2008 Oklahoma Futurity Amateur Color Restricted Champion. Bright Smile- 1981 KSF Ribbon Winner. 1983 KSF Ribbon Winner. RWC CH Tender Tears- 1972 KSF RWC 3 Year Old 3 Gaited. 1974 KSF RWC 3 Gaited 15.2 & Under. 1975 KSF RWC 3 Gaited 15.2 & Under. 1976 KSF RWC 3 Gaited 15.2 & Under. RWC Harvey Stonewall (AKA Truly My Heart)- (11 SBR CH Points) 1987 Ohio Futuirty 2 Year Old Fine Harness Champion. 1990 Tampa Park Champion. 1992 Dayton 3 Gaited Jr. Ex. 14-17 Champion. 1995 Germantown Amateur Grand Champion. 1996 KSF WC 3 Gaited Jr. Ex. 13 7 Under. 1998 Pin Oak 3 Gaited Jr. Ex. Grand Champion. 1998 Blue Ridge Classic 3 Gaited Jr. Ex. Champion. WC Midtown Man- (13 SBR CH Points) 1998 KSF WC 3 Gaited Show Pleasure Jr. Ex. 12-13. 2001 KSF WC Country Pleasure Driving. 2002 KSF WC 3 Gaited Jr. Ex. 13 & Under. 2003 3 Gaited Country Jr. Ex. Air Deker- 1996 Madison Classic 2 Year Old Fine Harness Champion. 1997 WI Futurity 3 Year Old Fine Harness Champion. 1998 Mid-America Signature Park Pleasure Junior Horse. Tiffany Tears Drop- 2000 Madison Classic 3 Gaited Show Pleasure Maiden Reserve Champion. 2000 WI Futuirty 3 Gaited Show Pleasure Jr. Ex. Champion. Diamond Jay- 2004 Madison Classic 3 Gaited Show Pleasure Junior Champion. 2004 National Championship Junior Park Pleasure Champion. 2005 Gasparilla Charity 3 Gaited Denver Junior Champion. 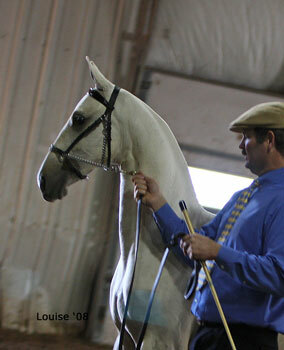 2005 Milwaukee Spring 3 Gaited Grand Champion. Santana's Miss Katy- 1994 Equestrians In The City 5 Gaited Pony Champion. 1994 KSF Ribbon Winner. 1995 Lexington 5 Gaited Pony Reserve Champion. 1995 Mercer County 5 Gaited Pony Champion. 1995 KSF Ribbon Winner. Local Lore- 2000 Colorado Classic 3 Gaited Show Pleasure 13 & Under Champion. 2000 UPHA Almost Summer 3 Gaited Show Pleasure Jr. Ex. 13 & Under. 2000 Colorado Fall Classic Show Pleasure Driving Champion. Calm Surrender (AKA Muncika)- 1998 KSF Ribbon Winner. Syracuse International 3 Gaited Jr. Ex. Champion. 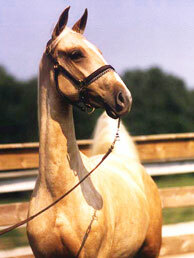 2007 Mid-Amrica 3 Gaited Grand Champion. 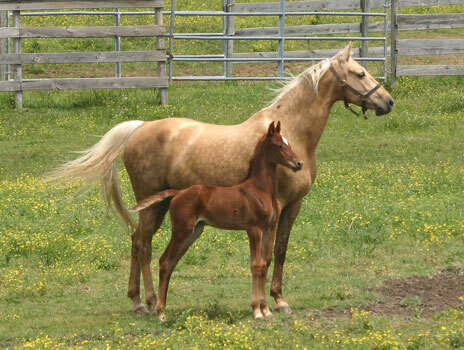 2008 Tar Heel 3 Gaited Jr. Ex. Grand Champion. 2008 Dallas Fall Classic 3 Gaited Amateur/Jr. Ex. Grand Champion. Sassy New Yorker- 1999 Devon 3 Gaited Junior/Novice Champion. 1999 Children's Benefit 3 Gaited Reserve Grand Champion. WC CH Sportster- 1998 KSF WC 3 Year Old 3 Gaited. 1999 KSF WC 3 Gaited Junior 15.2 & Over. 2000 KSF WC 3 Gaited Ladies 15.2 & Under 2002 WC 3 Gaited Jr. Ex. 14-15. 2006 KSF RWC Ladies Amateur 3 Gaited. Stonewall's Monogram- 1990 Boone County Fair Weanling Reserve Champion. A Touch Of Pizzazz- 1997 Boone County Fair- 3 Gaited Show Pleasure Grand Champion. 1998 Southeastern Charity 3 Gaited Jr. Ex. Grand Champion. 2003 Lexington UPHA Challenge Chip Champion. Rock Creek UPHA Challenge Cup Champion. Kanzai (AKA Rush Hill)- (9 SBR CH Points) 2008 UPHA Spring Premiere Park Jr. Ex. Grand Champion. Evening Event- (5 SBR CH points) 2004 Tanbark Park Champion.